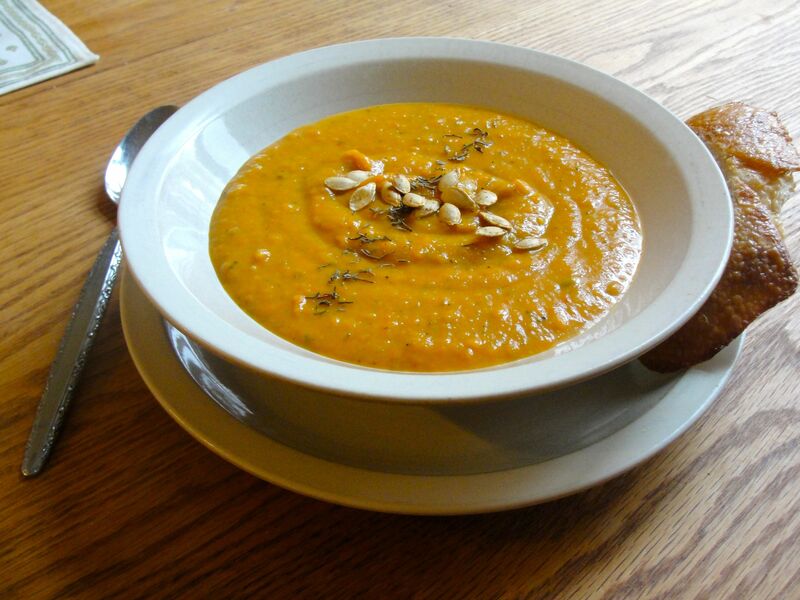 Here’s a zippy soup for a rainy autumn day, which is what we have here today. It’s sweet, from butternut squash, and definitely spicy, from poblano pepper. 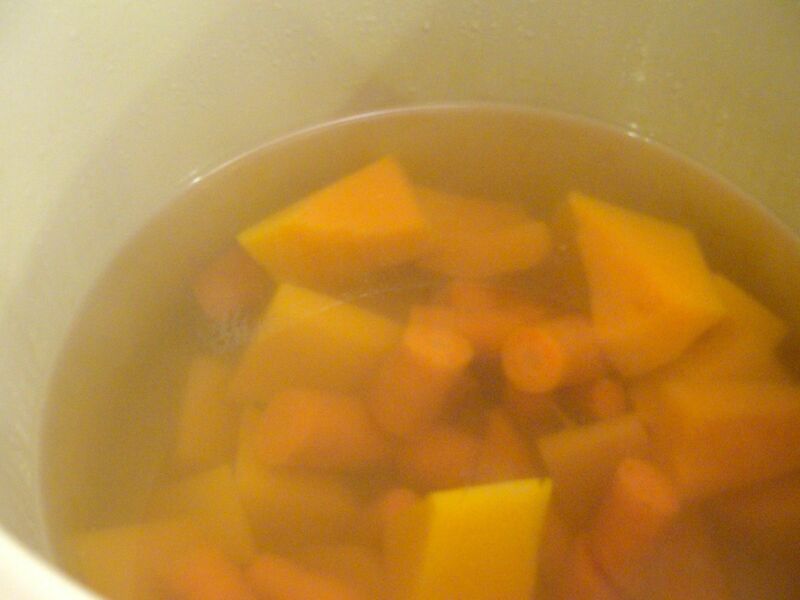 First, boil the cubed squash and carrot until quite tender. While the squash is boiling, roast peppers and onions under the broiler. 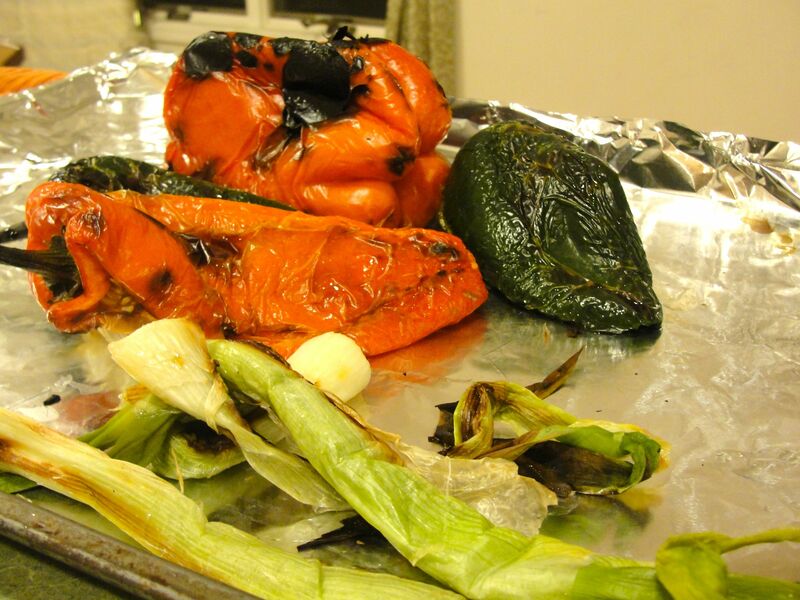 Turn and move while roasting to blister pepper skin evenly and to avoid burning scallions. Peel, core, and remove seeds from the peppers, and roughly chop the scallions. 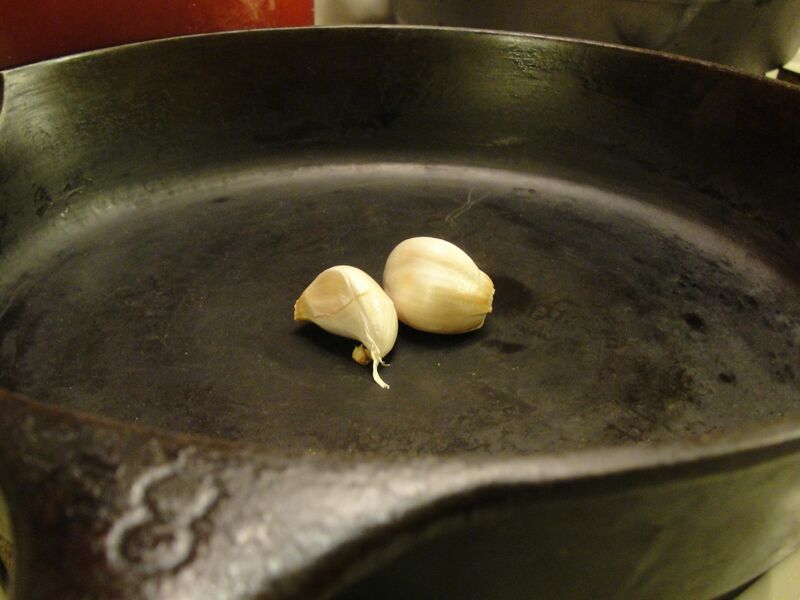 Dry-roast two cloves of garlic until tender, then peel and roughly chop. Lastly, using a food processor and/or blender, purée all the ingredients while adjusting the thickness with the water; add olive oil, salt, and pepper to your taste. I used both a food processor and traditional blender, in two rounds each with about half the ingredients because the quantity of soup exceeded the capacity of my blender. Serve the soup topped with dried or fresh thyme leaves and toasted squash seeds, perhaps accompanied by a piece of sourdough toast. 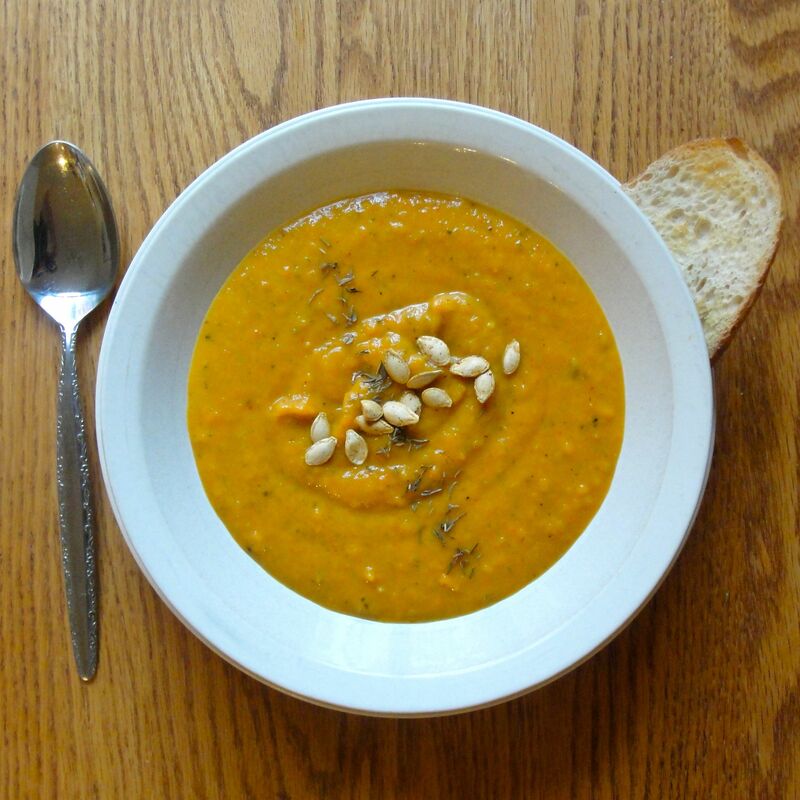 I hope you enjoy this blended vegan soup – it’s perfect for cool fall days! Seems like kind of a fun, spicier twist on an old favorite. I’m guessing it’s great with some good bread. been seeing lots of squash recipes but this one with carrots and poblano peppers looks wonderful! Thanks! I had just made butternut squash curry with the other half of the squash, and I found it a bit too sweet for my taste, so adjusting it with carrots and spicy capsicum did the trick. This one sounds nice with the carrots. I make a chipotle pumpkin which is popular with everyone but me. It’s just a little too sweet. I think the carrots in this would be more to my liking.